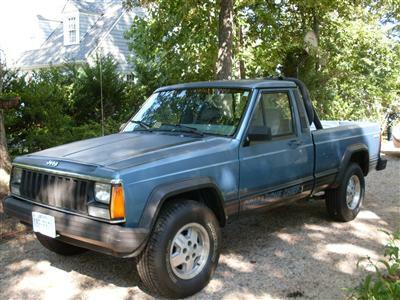 My Jeep is a 1987 Comanche Chief. It has 242,000 miles on it. Never done anything major to it. My son-in-law bought it new and then after he got a new one he gave this one to me. It has a 4.0 liter engine with a 5-speed transmission, Power Steering, Power Brakes, Air Conditioning, tilt steering wheel, and a factory roll bar. Love driving it and it runs great. Larry's Comment: Robert...thanks for the kind words. 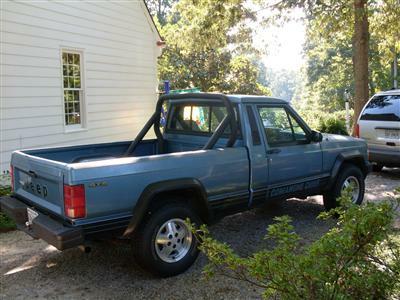 Sounds like you love your Comanche as much as I love mine.